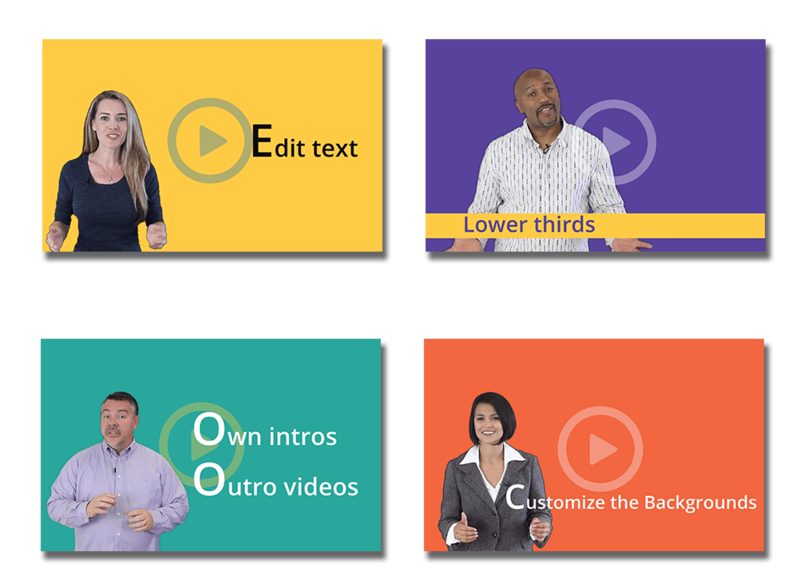 A few years back i did a webinar for a great web app that had pre made spokesperson templates that you just needed to edit the text to make instant professional looking videos in minutes and they had a big bunch of niches and local business sectors to choose from. I thought it was a great idea at the time but the pricing was annual so it was kinda hard to convert, many folks stay away from recurring and the annual aspect was probably a huge turn off. So it was just a matter of time before we started to see similar products being created and launched in Jvzoo at one time low cost, and we have a product that does the same thing that i am reviewing today. 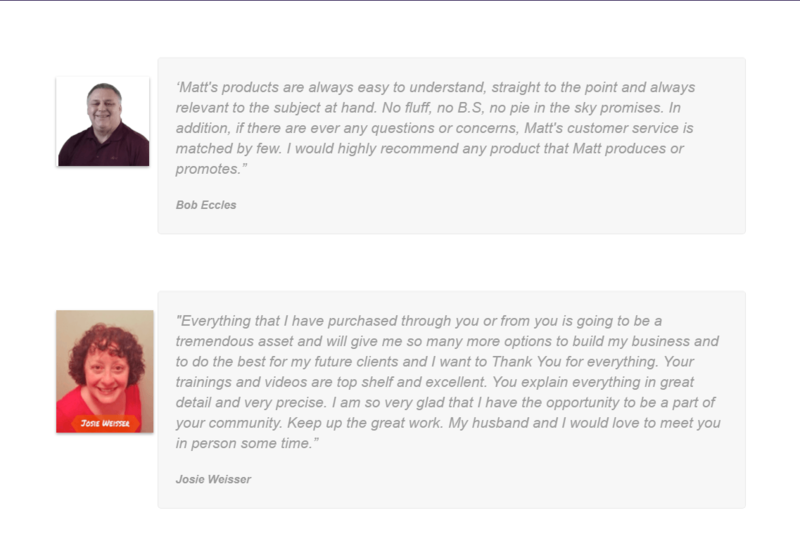 EZ Review Videos is a new software from Matt Bush and it offers you a cloud based solution that makes adding spokespersons to any other videos a breeze. This means you’ll be able to easily add that “human” factor and create instant credibility in your videos in a matter of SECONDS! In many ways this is actually better than the tool i liked so much a few years back, it has more flexibility and more marketing elements built in. Who Is This For & How Can You Use It? 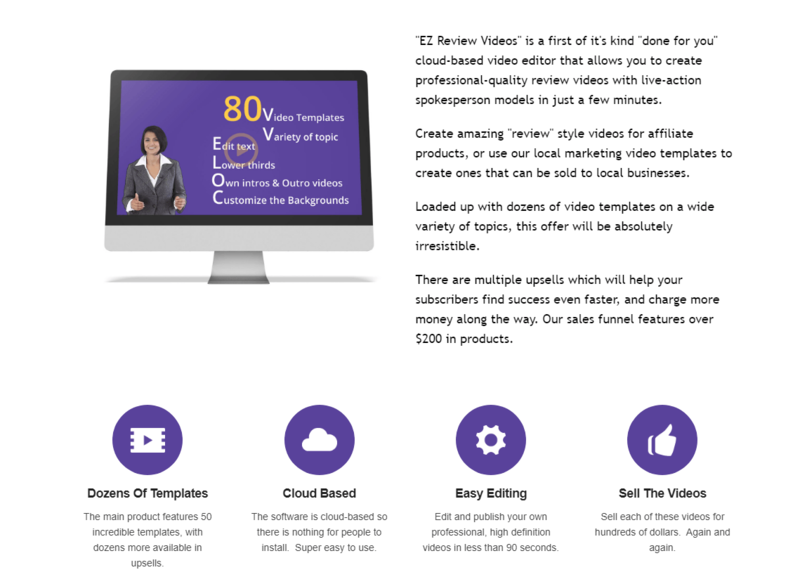 So What Niches are Covered With Ez Review Videos? Well there are a lot of niches with the front end offer and even more added to the upsell. In Fact it’s Over 80 templates! As I am sure you’ve guessed, the software is extremely flexible and easy to use, but it’s how you use it that makes the real difference. Imagine creating a commercial with an honest review or a testimonial supporting what your video is about. Think about how strong of an impression that could make on someone looking for that information. It’s as easy as selecting a spokesperson template from the library that best fits your “review” video. Instantly, you’ve added credibility to your video!